President and Chief Executive Officer of S&P Global opens up about his life outside the office. Douglas L. Peterson: Drink a big glass of cold water. DP: People. I’m most motivated when I’m with people. In my personal life that means family and friends. And in my professional life that means employees, customers, colleagues, policy makers, and thought leaders. On another note, I am also especially motivated by attending live performing arts to watch talented people perform with passion. My favorites are music and dance. Jazz, classical music, and opera, along with modern dance, especially energize me. DP: Meditation – I started meditating as a promise to my wife 20 years ago and learned a mantra technique from Deepak Chopra. At that time it was clear to me that in forty years I had never sat still, ever. Meditation allows me to completely clear my mind. But in clearing my mind, thoughts, inspirations, and concerns bubble up and pop. DP: I treat my cell phone like a tool that is necessary for me to stay in contact with the world in so many ways: talking, texting, mailing, planning, and surfing (news especially). I don’t have my phone out on the table when I’m meeting or eating but try to keep in in my pocket and check it discreetly every once in a while. I don’t sleep with my phone but do use it as an alarm clock when I’m on the road. DP: Batch Processing – I check email in batches throughout the business day and deal with them all at once if I can. When I see a message I can delete immediately, I do. And If I don’t have time to respond to a message when I see it for the first time, I leave it unread until I can get back to it. I always try to clear my work messages by the end of the day and the end of the week. And I answer my own email messages. DP: If I’m at the office, I wander around and find someone to check in with. Talking with people and finding out how their days are going is a treat and I frequently learn something I wouldn’t have it I had just stayed in my office. DP: All of the last times I’ve been burned out are all related to biting off too much to chew with my travel schedule. This typically arises when I combine multiple international trips at the same time such as a stop in California, Beijing, and Mumbai before heading to London. It’s about being too ambitious when you have to juggle jet lag, diet, sleep, very busy schedules, and keeping up with the home office all at the same time. TG:When was the last time you felt you failed and how did you overcome it? DP: The last time I felt I had failed related to a poor decision about someone who wasn’t working out and how quickly (or slowly) I admitted it and dealt with it. I overcame this by getting feedback from a mentor and a board member to relate how I felt about the situation and ask for feedback about how to move faster if this ever happened again. And I’ve actually applied the learnings since then in a very conscious way with good results. DP: “Cada cabeza es un mundo.” “Every mind is a world.” I grew up in Santa Fe, New Mexico in a family with deep roots in New Mexico going back into the 1800s. One of my grandfathers spoke a native language, French, German, English, and Spanish. And he regaled us with stories and Spanish “dichos,” or sayings. My favorites has always been “Cada cabeza es un mundo.” This motivates me to meet and speak with people and to understand that we are all different, all have something to add in this world, and all have a purpose. 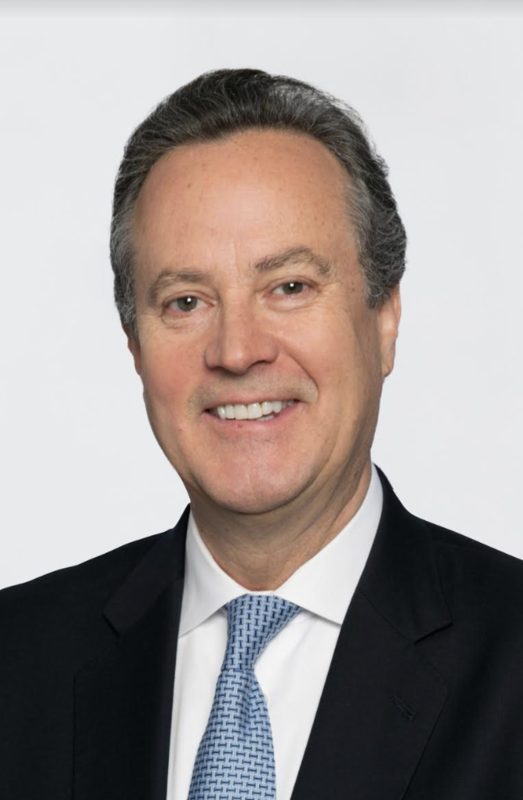 Douglas L. Peterson was elected President and Chief Executive Officer of S&P Global, effective November 2013, and he joined the Company in September 2011 as President of Standard & Poor’s Ratings Services. Previously, Mr. Peterson was the Chief Operating Officer of Citibank, N.A., Citigroup’s principal banking entity that operates in more than 100 countries. S&P Global is a leading provider of transparent and independent ratings, benchmarks, analytics and data to the capital and commodity markets worldwide. The Company’s divisions include S&P Global Ratings, S&P Global Market Intelligence, S&P Dow Jones Indices and S&P Global Platts. Mr. Peterson was with Citigroup for 26 years, during which time he led diversified businesses in investment and corporate banking, brokerage, asset management, private equity and retail banking. His prior roles include CEO of Citigroup Japan, Chief Auditor of Citigroup, and Country Manager for Costa Rica and Uruguay. Mr. Peterson is a Steward of the World Economic Forum’s (WEF) Shaping the Future of Long-Term Investing, Infrastructure and Development System and a member of WEF’s Financial Services Governors Community. He serves on the Advisory Boards of the Federal Deposit Insurance Corporation’s Systemic Resolution Advisory Committee, the US-China Business Council, the Partnership for New York City and the Kravis Leadership Institute, and the Boards of Trustees of Claremont McKenna College and the Paul Taylor Dance Company.